Owning a cat who constantly claws up your furniture and home can be frustrating, but before you make the decision to get your cat declawed, keep in mind that there are declawing cats alternatives. As cat owners, we love our kitties. We don’t want to see them hurt or in pain, we certainly don’t want to put them through unnecessary surgeries, and of course, we don’t want to spend a ton of money on vet bills if we don’t have to. However, we also don’t want our homes and belongings destroyed. The cost of damage done by a cat’s scratching can go well beyond hundreds of dollars depending on what they decide to sink their claws into. So, if you’re at your wits end with your scratching cat, don’t worry. We are here to help, providing a list of declawing cats alternatives along with information on why your cat does what he does, and how you can reduce this undesirable behavior! Cats are ancient creatures who have been around for over 9,500 years, and their inherent need to scratch is a natural, instinctive part of their behavior. Cat’s scratch for a number of reasons, including during exercise, to help with stretching, for claw health, and to mark their territory. Scratching is a fundamental part of being a feline, and while you may find it annoying, frustrating, and sometimes downright destructive, try to remind yourself that your cat doesn’t know any better. He’s truly not trying to irritate you or ruin your belongings. Your cat is simply being a cat. But domesticated cats aren’t the only ones who use their retractable claws recreationally. Even larger felines scratch! That’s right, tigers, leopards, lions, panthers and more partake in this very behavior. So, give your cat a break. He’s just doing what cats do. And while it can be destructive and frustrating, is declawing your cat really the answer? We don’t think so, and we are here to explain why you should seek out declawing cats alternatives. 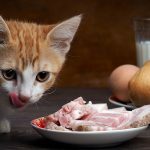 The fact that you’ve found this article on declawing cats alternatives means you’re looking for different options for your cat and his pesky claws. And that’s great, since declawing is not something that should be taken lightly. Some cat owners may think that declawing is just one step further than simply clipping their cat’s nails, but that is not the case. Unlike nails, which grow from a nail bed in the skin, claw grow directly from the last bone of cats’ toes. Declawing is a surgical procedure that requires putting the cat under anesthesia and completely removing his claw and the bone from which the claw grows. If the bone is not removed, then the claw will grow back. Some procedures require the removal of part of the pad on the cat’s paw as well. Is Declawing A Cat Cruel? If you are looking for declawing cats alternatives, you are probably wondering if declawing a cat is cruel. To put things in perspective, if a human were to go in for the same surgery, he would wake up with the tips of his fingers amputated down to his first knuckle. Ouch! 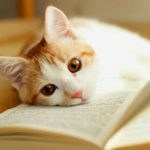 Unfortunately, many cat owners are unaware of just how serious the procedure is and of all that it entails. 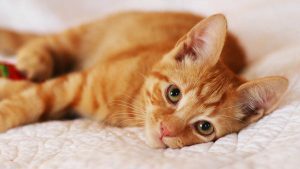 Furthermore, there are very serious side effects and risks that go along with declawing a cat, such as behavioral changes, chronic pain, refusal to use a litter box, and biting. Today, declawing has become a highly controversial procedure that is objected by animal lovers, experts, and professionals alike. The ASPCA and the Humane Society both oppose declawing cats. In many places such as the UK, declawing a cat is illegal. Are There Alternatives to Declawing? There are a number of declawing cats alternatives that we urge cat owners to consider before making the decision to declaw their cats. While not every alternative will be right for you, your household, or your cat, you may find that it is worth trying each option out. Aside from sparing your cat from a risky and painful surgery that could potentially cause chronic problems and temperamental changes, declawing cats alternatives could also save you loads of money on vet bills! Let us explain how each alternative works and how they can help you and your cat reduce their pesky scratching! Clipping your cat’s nails is easier and cheaper than you may think! We recommend buying a high-quality cat nail clipper from your local pet store or online. Here is one we love that’s available on Amazon. Trimming your cat’s nails could be a two-person job, but sometimes your cat will let you do it with ease. Sometimes cats won’t notice or care if you trim their nails. Still, be careful and only trim the sharpest part of the nail. Cutting too much of the nail can result in pain and bleeding. Always reward your cat with a treat after you clip his claws so he begins to associate the nail trimmer with something positive and won’t be afraid. Still, if you feel your cat is a little too feisty and won’t let you trim his nails, you can also opt for going to your local groomer. Chargers for cat nail trimming are relatively low, typically running no more than $15. To stay on top of it, you will want to trim your cat’s nails every ten days to two weeks. 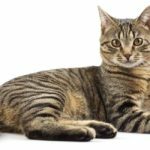 Along with trimming your cat’s claws, other declawing cats alternatives will include scratching posts. 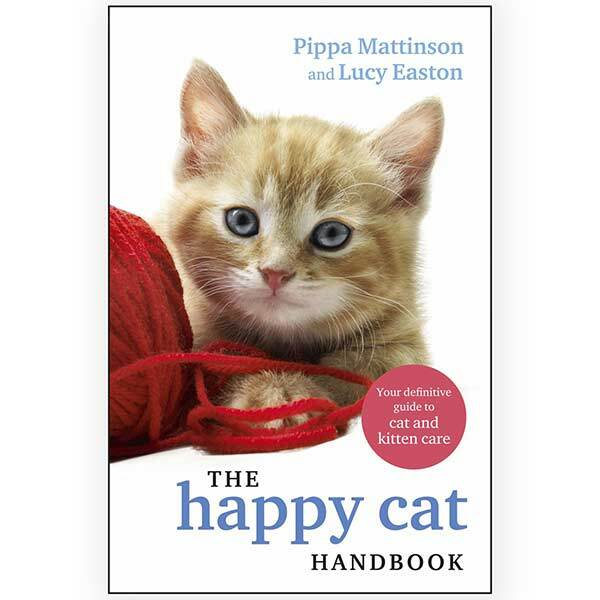 Providing your cat with his own cat furniture could help to keep him from scratching yours. Cats love cat trees and cat posts, which not only provide a fun place for your cat to play, climb, and hide but also to scratch! Even if you have a few already, you may want to add some more. Also, keep in mind that the location of the scratching post is important as well. If your cat has a particularly favorite thing he enjoys clawing to death, like your couch, for example, try putting a scratching post in that area and entice him to use it instead. 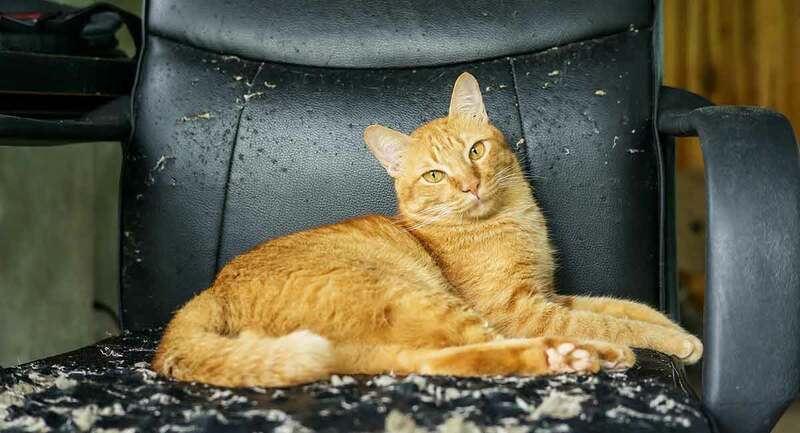 While your cat is learning to use his scratching posts instead of your furniture, you may want to restrict his roaming sites or only allow him access into certain rooms when you’re around to supervise so you can stop him from scratching things he shouldn’t. Surprise! 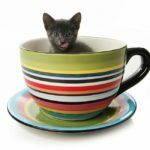 You may already own some declawing cats alternatives! Household items like double-sided tape or aluminum foil are wonderful items you can use safely and cheaply to deter your cat while he is learning to use his designated scratching posts. A cat’s paws and claws are precious to them, and they don’t like random objects trying to stick to them. Apply some sticky double-sided tape to objects your cat seems scratch-attached to and wait. It won’t be long before your cat loses interest in that couch he used to love scratching. The foil is also a good alternative, although it’s less subtle than the clear double-sided tape. Cat’s won’t like the noise or feel of the shiny foil, and it will deter them from sinking their claws into your precious belongings. While it may be inconvenient and downright ugly to have to use tape and foil to deter your cat from scratching, keep in mind that these are temporary methods. Look at the tape and foil as tools to help you train your cat to use his scratching posts instead of your furniture and rugs. Sometimes a cat will scratch out of stress or to mark his territory. Pheromone sprays like Feliway mimic the natural facial pheromones that cats release. These pheromones calm cats down, helping to release their happy hormone and making them feel relaxed, safe, and comfortable. When a cat feels relaxed, he doesn’t feel as territorial and therefore his desire to scratch will be reduced. You can buy cat pheromones in canisters or sprays or even plug them in like oil diffusers. There are many companies who sell them, but it’s important to do your research so you know you are getting the best bang for your buck. These sprays are great declawing cats alternatives as they can help not only reduce unwanted cat behavior like scratching, but also territorial or stress related urine spraying. And don’t worry, the sprays are specifically formulated for cats and won’t have any effect on you or other household pets of different breeds. While there is some online debate regarding vinyl nail caps, it is a much better alternative than declawing, providing a way for you to keep your cat’s nails intact while saving your furniture from destruction. Nail caps work by covering your cat’s nails, essentially dulling them so that they cannot do damage to your furniture or skin. Several companies and pet stores offer nail caps, and they come in a variety of fun color options for the cat owner who wants their cat to look extra festive. Still, there may be some downsides to nail caps, and they don’t work for every cat. Some users have complained that nail caps hinder the way their cat walks or climbs. Others claim that nail caps restrict the natural stretching and retraction of a cat’s claws. Keep in mind that all cats are different, and while some cats may do fine with nail caps, other cats may hate them or struggle with them. Nail caps are relatively cheap and easy to put on. In fact, you can purchase a pack of forty nail caps online for around $15, and then put them on yourself in the comfort of your own home. The caps actually glue to your cat’s claw, where they remain until they fall off with your cat’s natural nail growth in about six weeks. If the caps do not fall off by eight weeks, you can remove them yourself by gently applying pressure to the cap and peeling it off. According to some reviews, a pack of forty caps from Soft Paws should last about six months. Does My Cat Need His Claws? We are happy you are considering alternatives to declawing, as a cat’s claws are an important part of him. Cats use their claws for all kinds of things like hunting, protection, climbing, play, and even walking. To take your cat’s claws from him could not only be painful but also emotionally traumatizing. And while the above alternatives to declawing your cat are excellent options, you should keep in mind that scratching is a normal and natural part of a cat’s behavior and you will not be able to eliminate the act of scratching completely. Hopefully, by using the alternative methods we have provided you with above, you should be able to avoid declawing and find a healthy way to get your cat scratching his cat posts instead of your furniture, so you both can live happily ever after! Which Of These Declawing Cats Alternatives Have You Tried? Have you found the one which works best, or are you still looking? We’d love to hear about why you’ve decided not to declaw your cat, and the alternatives to declawing that you’ve tried in the comments box below. Katherine C. (Kasey) Grier, Nancy Peterson, Indoor Cats, Scratching, and the Debate Over Declawing: When Normal Pet Behavior Becomes A Problem, Animal Studies Repository, The Humane Society of the United States, 2005. Gary J. Patronek, VMD, PhD, Assessment of Claims of Short- and Long-Term Complications Associated with Onychectomy in Cats, Journal of the American Veterinary Medical Association, 2001. W. Gonyea, R. Ashworth, The Form and Function of Retractile Claws in the Felidae and Other Representative Carnivorans, Journal of Morphology, 1975. Jacqueline M. Ley, Feline Behavioral Health and Welfare, Chapter 23, Normal but Unwanted Behavior in Cats, 2012. Donal McKeown, Andrew Luescher, Mary Machum, The Problem of Destructive Scratching by Cats, The Canadian Veterinary Journal, 1988. I’m sorry, I just don’t believe all of this hype about declawing being cruel and traumatic if done young enough. A 7 year old cat whose had his claws his whole life, sure, but a kitten whose body is changing constantly anyway is probably just going to think it’s a normal part of growing up. My parents always declawed our cats, and they had very healthy, very happy, very, VERY long lives. And none of them bit. The only biter I’ve ever had has claws (and uses those as well as his teeth, he’s a crazy rescue cat). BUT, big but, you’re taking away a cat’s main means of defense by declawing it. I wish people would focus on that instead of making overdramatic analogies to human hands. It’s DANGEROUS to declaw a cat. If it gets out (or something gets in! ), it can’t scratch anything that might attack it, nor can it climb to escape. And that’s why I never have had and never will have any of mine declawed. I have had kitties my entire 68 years, while I was living with parents, no declawing, no one had ever heard of it. Can they still climb cat tree with caps on?